Alcohol is a far more dangerous substance. Yet the state of Massachusetts is thinking about making it easier to get. Massachusetts recently issued its first recreational marijuana license, bringing pot more fully into the ranks of regulated substances. Bravo! Decriminalizing drugs is a tactic that has been demonstrated to reduce their harm, notably in Portugal. And legalizing pot in Colorado and other states has not led to a surge in usage and related crime — or indeed even that collective societal zombification predicted by legalization opponents. But regulation is not a panacea, as we’re seeing with a substance that’s been legal for much longer: alcohol. Almost 1 in 5 adults in Massachusetts drinks excessively, according to the Centers for Disease Control and Prevention, one of the higher rates in the United States. Consumption comes with substantial costs. For instance, the Massachusetts economy lost more than $5.6 billion in 2010, according to a 2015 study, from lost productivity, health care expenses, and other costs, including those from accidents caused by drunken driving. About 31 percent of driving deaths in the state in 2016 were alcohol-related. Nationally there are more than 88,000 alcohol-related deaths every year. Beyond the statistics is the tragic personal impact of alcohol abuse: broken families, physical and sexual assaults, and infants born with physical abnormalities and mental disabilities when expectant mothers consume. Heavy alcohol consumption causes other serious illnesses, too. Liver disease and strokes are the two big killers, but as a medical student on rounds, I saw one patient whose drinking had caused issues leading to the removal of several abdominal organs. I was startled when that patient told me, “I would still drink if I could.” Also, people addicted to alcohol can die if they’re deprived of it, which is not the case with pot or even cocaine. Alcohol withdrawal syndrome claims the lives of between 5 and 10 percent of those who suffer from it. Yet, we are bombarded with ads selling us on alcohol’s magical properties. Commercials seduce us with the promise that drinking will bring us happy, active social lives featuring sensual, fit men and women. Alcohol is indeed life altering; in 2010, British researchers ranked alcohol as the most harmful drug, legal or illegal, beating out heroin and crack cocaine. The American approach to drinking is irrational, and must change. Two years ago, public health officials in the United Kingdom cut their recommended alcohol consumption limits to no more than seven 6-ounce glasses of wine or six pints of beer a week, for both men and women. A recent study by scientists at the University of Cambridge made the startling find that after five drinks a week, each one lowers life expectancy by 30 minutes. This is comparable to the life expectancy smokers are expected to lose per cigarette. Care to guess what the recommended alcohol consumption limit is in the United States? The Department of Health and Human Services dietary guidelines allow men two drinks a day, or about 77 percent more alcohol per week than the United Kingdom does (suggested limits for US women are slightly lower than those in the UK). From a public health perspective, the answer is crystal clear: We must immediately lower recommended drinking levels in the United States and then strive to reduce alcohol consumption. Following the model used for cigarettes, we should add strongly worded public health warnings on alcoholic beverages, ban alcohol advertisements, and decrease product visibility. This will not be easy. The alcohol industry is a behemoth — the global alcoholic beverages market was valued at $1.34 trillion in 2015 — and is sure to fight back against attempts to enforce drinking guidelines. But we know it can be done. Tens of millions of people have quit smoking. If you are among them, never even touched a cigarette, or feel under siege for your habit, you are living proof that decades of coordinated assaults by public health experts on tobacco have worked. These efforts are estimated to have saved 8 million American lives over the last 50 years. Turning the public against the Marlboro Man shows societal attitudes toward drugs can change. This is not a moral call, nor a cry for abstinence: The results of the American experiment with Prohibition were clear. And, drinking wine within recommended guidelines may reduce heart attack risk (sorry, beer and spirits drinkers, the same does not apply to you). 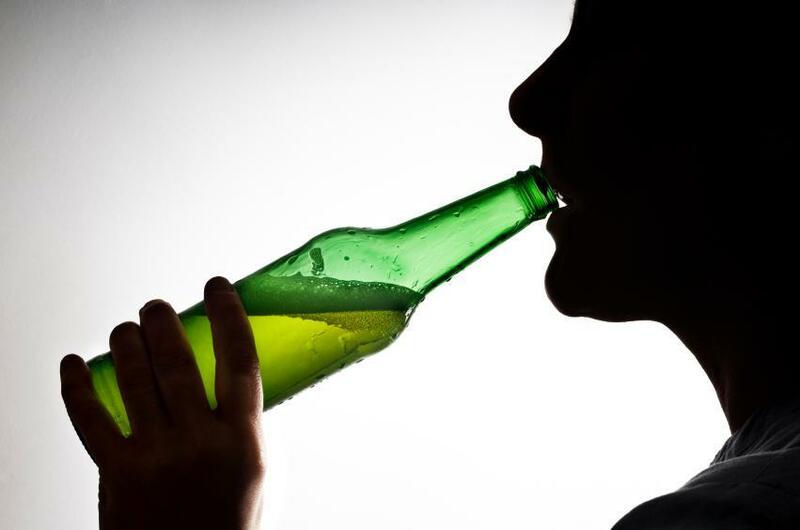 Instead of dogmatic approaches, we need a public conversation on why we drink to stupor, on the damage alcohol can cause, and on how to best regulate its consumption. All the controversy about where to let pot dispensaries open obscures the truth that we already patronize establishments dedicated to the consumption of legal narcotics: bars. Massachusetts is ridiculed for abolishing happy hour, but bringing it back would play into the hands of the liquor industry, which is known to target heavy drinkers, “super consumers” who are highly profitable for the industry. This is irresponsible if not immoral, and it ought to be illegal. Late last year, the state’s Alcohol Task Force called for major changes in Massachusetts liquor laws, including relaxing some restrictions, which could increase drinking, while also recommending measures that will raise prices, which should lower consumption. The Legislature has since taken little action. You can help counter the power of industry lobbyists: Contact your state legislators and urge them to make sure any revisions to the law rein in cheap alcohol, help reduce binge drinking, and safeguard us from the worst effects of liquor. Gianmarco Raddi is an MD/PHD student at the University of Cambridge and the University of California at Los Angeles. Send comments to magazine@globe.com. Get the best of the magazine’s award-winning stories and features right in your e-mail inbox every Sunday. Sign up here.